Nowadays, the ideal transport in people’s mind has changed. Compared with big cars, they prefer the small-sized and portable transport. Such a transport can avoid traffic jam and take them to destination smoothly, which not only makes journey comfortable, but also saves much valuable time. Actually, such a transport does exist, such as Fosjoas V6 electric unicycle, Fosjoas V5 twin wheel electric scooters or Fosjoas U1 mini scooter and so on. Their small figures play big roles in people’s daily life. Fosjoas V6 single-wheeled electric scooter is widely praised as the smallest and the most convenient travel transport on the current market. Single-wheeled design makes riding much more challenging than other Fosjoas electric scooters. The small figure of Fosjoas V6 electric scooter paves the way for weaving among crowds very smoothly. The light weight makes people carry it by hand or put in bag very easily. Generally speaking, many short-distance travels in daily life can be covered by Fosjoas V6 electric scooter. Usually, it is loved by young boys and girls. Fosjoas V5 twin-wheeled electric scooter is similar to one-wheeled electric scooter. The main difference lies in twin-wheeled design, which makes it stand on if it is powered. The bright colors of Fosjoas V5 twin-wheeled electric scooter attract many young people. Even if some elder people also want to have a try on it and they use it as their exercise equipment. 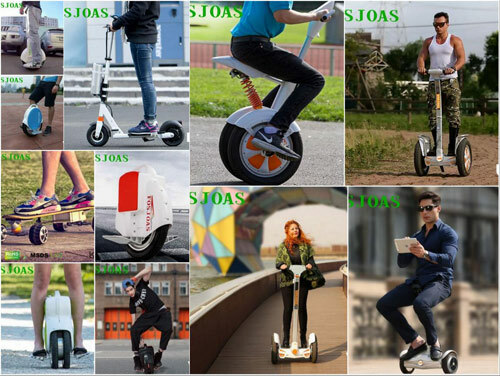 As to Fosjoas U1 mini two wheel electric scooter unicycle, it adopts two-wheeled design, which makes sure comfortable and stable riding experience. What is more, the equipped adjustable saddle is a unique advantage of Fosjoas U1 mini electric scooter. People can adjust saddle to the suitable position according to the height. Then, they can ride it by sitting posture. If they want to have a wide view, they can ride it by standing posture. Fosjoas U1 mini electric scooter is an all-people transport.